“Anyone studying the growth of the city …cannot help but be struck by the fact that New York was first a port before it was anything else.” This William Bixby quote adorns the perimeter of South Street Seaport in New York. The city is one with a rich maritime history—operations on both the East and Hudson River have played a vital role in shaping the city and its people’s history—but its one often forgotten by most New Yorkers navigating their way through the hustle and bustle of the concrete jungle. New York was originally the landmass south of Wall Street on the island of Manhattan, as time went on, however, New Yorkers began expanding out into the neighboring boroughs and eventually made their way to the suburbs. Today, Manhattan is still the city’s center with New Yorkers spending, on average, 40 minutes traveling to or from work each day, according to the New York Times —more than any other city in the United States. But one mode of transportation often not used by New Yorkers, are ferries operating on New York’s marine highway, the East River. Granted, most communities in the city’s five boroughs don’t have access to such ferry operations—except for Staten Island which has the government operated Staten Island Ferry, most ferry operations are private and confined to Manhattan and parts of Queens and Brooklyn—but that’s all about to change thanks to a partnership between the New York City Economic Development Corporation (NYCEDC) and Hornblower, Inc.
Hornblower is no stranger to New York, the company’s subsidiary Statue Cruises currently provides transportation to the Statue of Liberty National Monument and Ellis Island. Hornblower also debuted its New York Hornblower Hybrid, a ferry/luxury yacht, back in 2011. 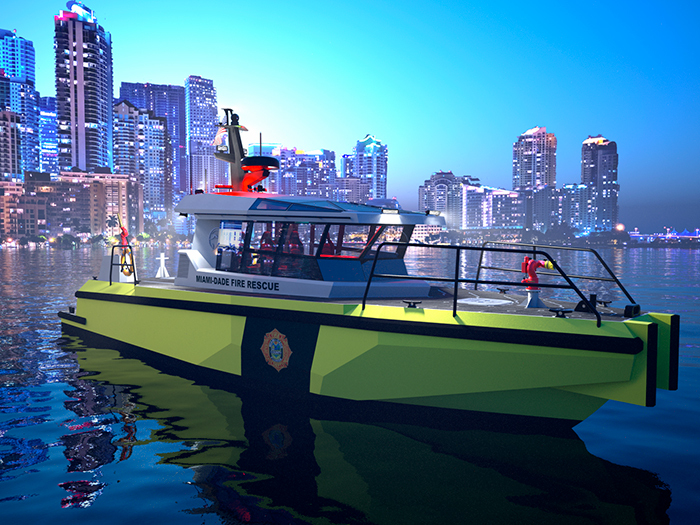 Promising a fast, frequent and convenient service operating year round, the Citywide Ferry will bring a total of six routes that, when combined, will cover over 60 miles of waterways. The creation of the service will help meet growing waterfront community demand, and help lighten the load for an already overworked, overcrowded, and outdated MTA subway system. Hornblower will have the option to purchase at least 17 new ferries, as well as chartering already existing ferries to help meet the system’s demand. Our sources tell us Hornblower will likely contract up to three shipyards, which will each build three to four ferries in the first round of construction. One of the shipyards is believed to be Metal Shark Aluminum Boats, Jeanerette, LA. 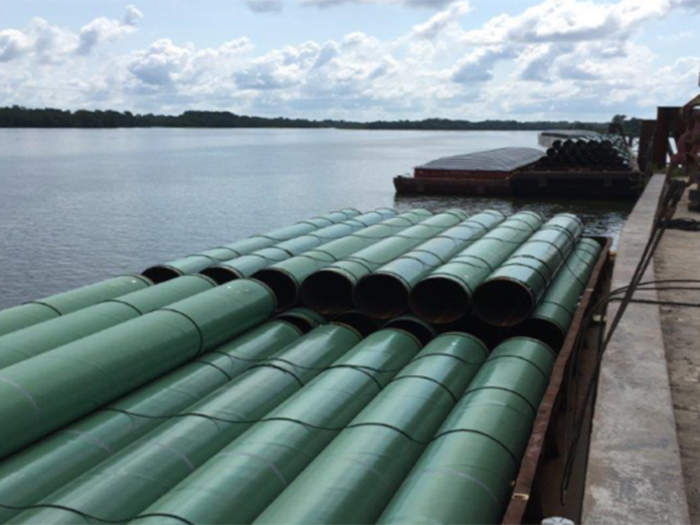 It recently received a Small Shipyard Grant from the Maritime Administration for its Franklin, LA, shipyard. The city is providing the service with $55 million in infrastructure upgrades—this includes the building of ten new ferry landings and the repair/refitting of six others. 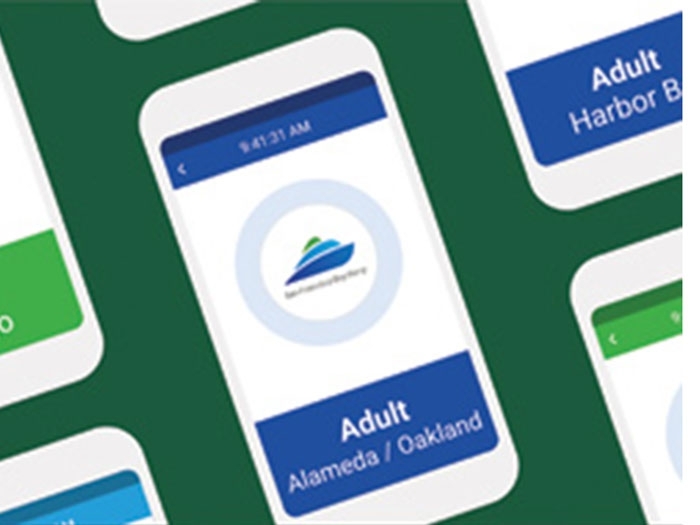 Additionally, the city will provide $10 million for startup costs, such as vessel upgrades and ticketing machines and $30 million in operation support per year for a period of six years. NY Waterway’s East River Ferry boats are also to be fully integrated into the Citywide Ferry fleet. The transition is expected to be complete by the summer of 2017. The Citywide Ferry service will roll out in two phases. Phase one will initiate service to Astoria, South Brooklyn and Rockaway in 2017. Phase two to Soundview (Bronx) and Lower East Side will launch in 2018. 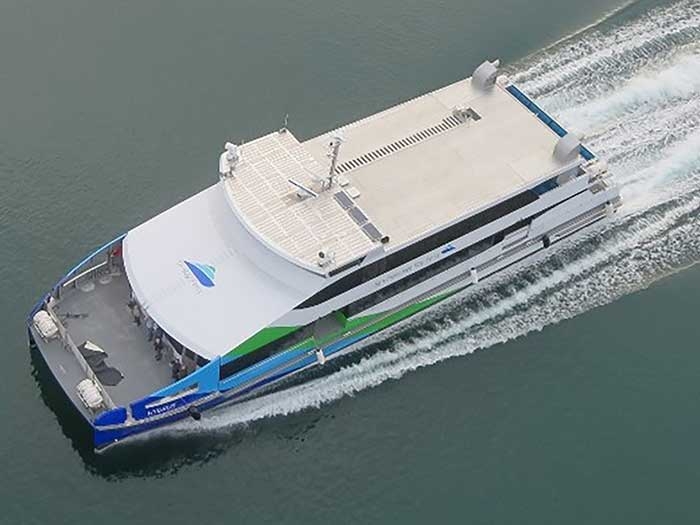 The catamaran ferries, which will be based on an Incat Crowther design, say our sources, will carry at least 149 passengers, will be fully accessible to those with disabilities, will be equipped with WiFi, and will operate using low emission engines and “Low Wake” technology. The ferries will offer passengers 360 degree views, and LED screens will be fitted on board displaying information and entertainment. The ferries, like its Staten Island ferry counterpart, will also offer food and beverage options on board. However, unlike the Staten Island Ferry, which is free, the Citywide Ferry will cost passengers $2.75, the same price as a New York City Metro Card swipe on the city busses or Subway system. Passengers however will not be able to transfer from the train/bus to the Citywide Ferry—meaning the service won’t be fully integrated with the NYC mass transit system. 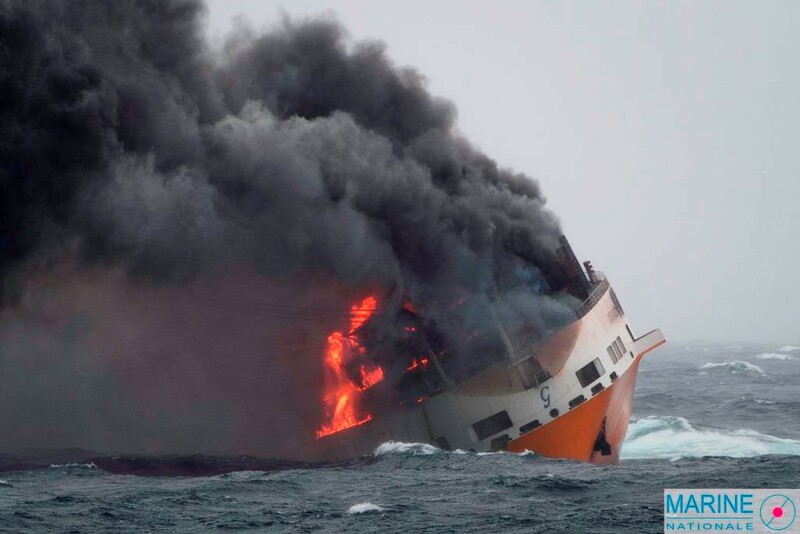 However, free transfers will be available between ferries. The ferries will operate from 6:30 am to 10 pm, seven days a week. 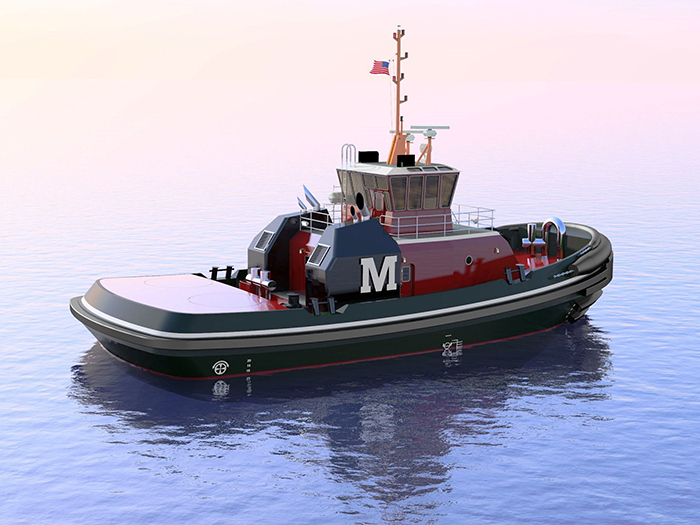 A total of 10 ferry landings—the barges were designed by Blancke Marine Services, Woodbury, NJ, and the topside outfit by project design manager McLaren Engineering—will be built for the service, and are expected to be ready in time for the service’s launch in 2017. The barges for the landings are being built at May Ship Repair on Staten Island.The ferry landings will be 35 ft wide by 90 ft long. The landings are being fabricated for Soundview, Bronx; Astoria, Queens; East 62nd Street, Manhattan; Roosevelt Island (between Manhattan and Queens); Long Island City, Queens; Stuyvesant Cove in Manhattan; Grand Street (Lower East Side Manhattan); Red Hook, Brooklyn; Bay Ridge, Brooklyn; and the Rockaways. According to NYCEDC, upon completion, the landings will be equipped with canopies and wide screens to provide passengers a sheltered space from inclement weather. Additionally, the barges will feature ticket machines and waiting areas, allowing for minimal upload impact at the landing sites, says the NYCEDC. The Citywide Ferry system is projected to add 155 new jobs to the New York Harbor. Additionally, the company will participate in the City’s HireNYC program which will match qualified applicants from neighborhood-based WorkForce1 training centers, meaning that the folks working at the landings will be qualified people from the communities. Crews are expected earn more than $15 an hour and will also receive a comprehensive benefits package. Further exemplifying its desire to highlight and foster the growth of the city’s maritime tradition, NYCEDC has partnered with a number of federal, state and city agencies to launch the Waterfront Navigator—a website that will serve as an official source of information for businesses and waterfront property owners seeking to learn what tools are available to them. In addition, the website, WaterfrontNavigator.NYC, will help facilitate environmental permit applications for waterfront construction. NYCEDC President Maria Torres-Springer says that the “one-stop” user friendly website is where regulatory agencies from the federal, state and local levels joined forces to create a resource for simplified permit planning. One constant presence on the New York Harbor has been the Staten Island Ferry (or at least some incarnation of it). Formal service on the route between Manhattan and Staten Island was established in 1817 under the Richmond Turnpike Company when it began sailing the steam-powered Nautilus. Eventually, the City of New York took over the operation in 1905 when it ordered five new ferries for the route, each named after the city’s five boroughs: the Bronx, Brooklyn, Queens, Manhattan and Staten Island. Since then, a number of new ferries have been built and retired for the now famous orange Staten Island fleet. 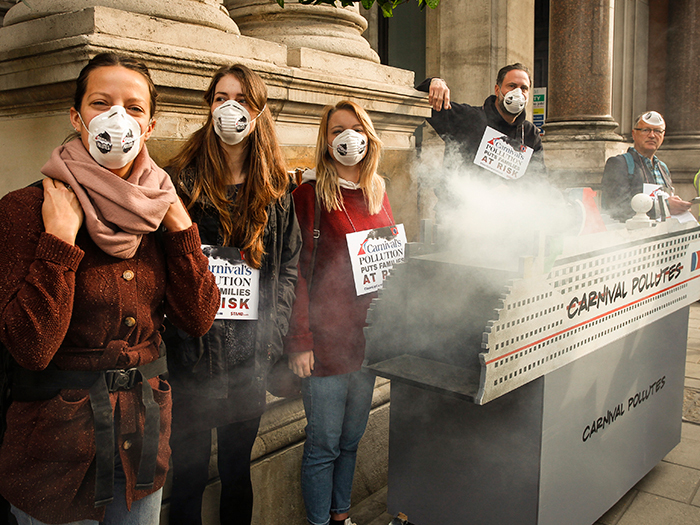 Currently, the fleet is made up on nine ferries providing service to 22 million passengers a year. And with the population on the island growing, demand is high for a new series of ferries that provide faster, more efficient ride. 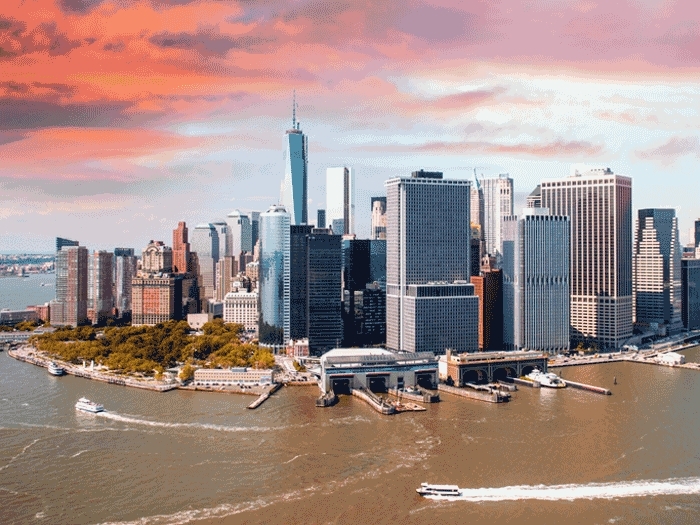 Earlier this year, New York City Mayor Bill de Blasio confirmed that the NYC Department of Transportation (NYC DOT), the agency that runs the Staten Island Ferry operation would be ordering three new ferries for the route. This would enable the operator to retire three of the older ferries in the fleet including the 51-year-old John F. Kennedy, commissioned in 1965. Additionally, the S.I. 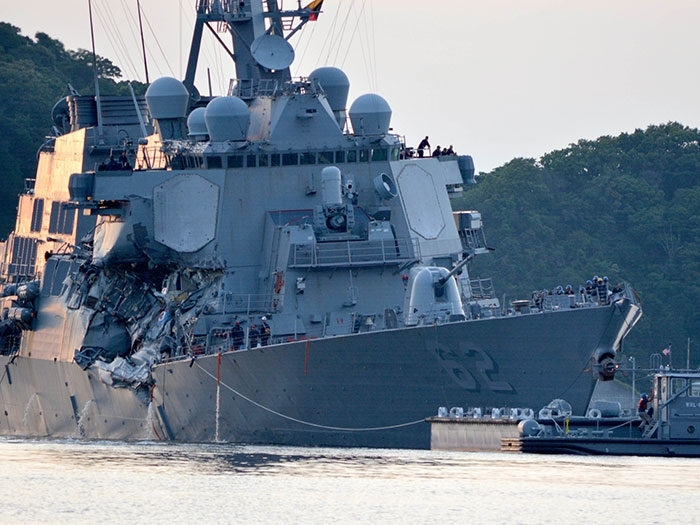 Newhouse and Andrew J. Barberi, both commissioned in 1981 will also be put out of service. The two hold the distinction of having the highest passenger capacities, with room for 6,000 passengers. The three new 320 ft x 70 ft ferries are designed by Seattle-based Elliott Bay Design Group, and are expected to bare a striking resemblance to the beloved Kennedy, with lots of open-air space. The ferries will also be double-ended and have capacity for 4,500 passengers. The ferries, which will be built to ABS class requirements, will be powered by Tier 4 EMD engines and Voith Schneider Propulsion drives. Glosten Inc. will act as the Owner’s Representative [Team] providing all construction management and oversight on behalf of the NYCDOT. At the New Staten Island 4500 Class Ferry Industry Day event held last September at the Whitehall Terminal, the NYC DOT laid out details on the Ollis class project as well as its target dates. The city operator expects for bids to be due 90 days after it was advertised (sometime in the 3rd Quarter of 2016)—we should note that as we were going to print, the NYC DOT released the Request for Bids (RFB) for construction of the ferries; and expects to issue a Notice to Proceed (NIP) contract start by the 4th Quarter of 2016. 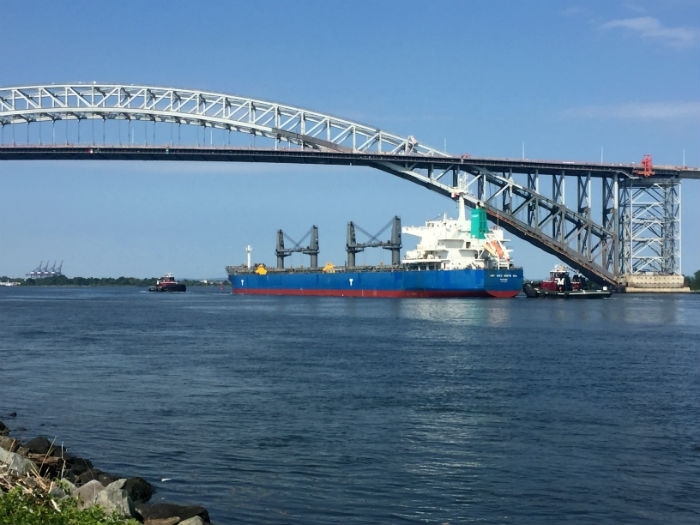 The NYCDOT expects all three vessels to be completed within 1,460 consecutive calendar days following NIP. Looking at the Industry Day’s attendance sheet, one could wager a guess on what yards will be bidding on the project. 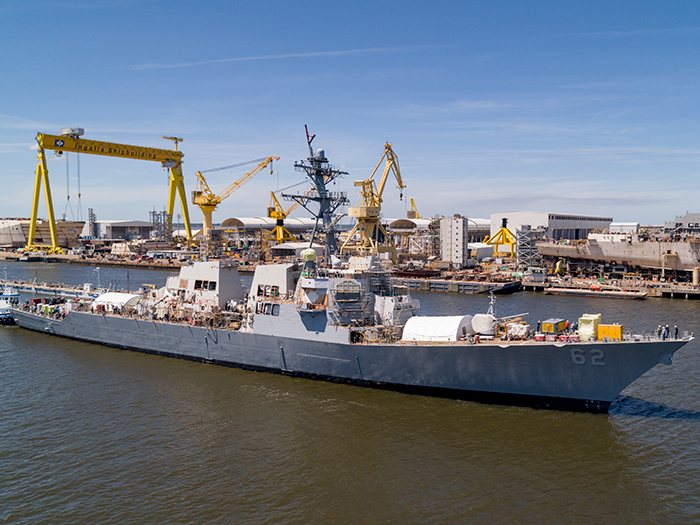 Conrad Shipyards, Dakota Creek Industries, Eastern Shipbuilding Group, Fincantieri Bay Shipbuilding, GD NASSCO, Leevac Shipyards, Vigor Industrial, and VT Halter Marine were all in attendance. The first of the three new ferries, the Staff Sgt. 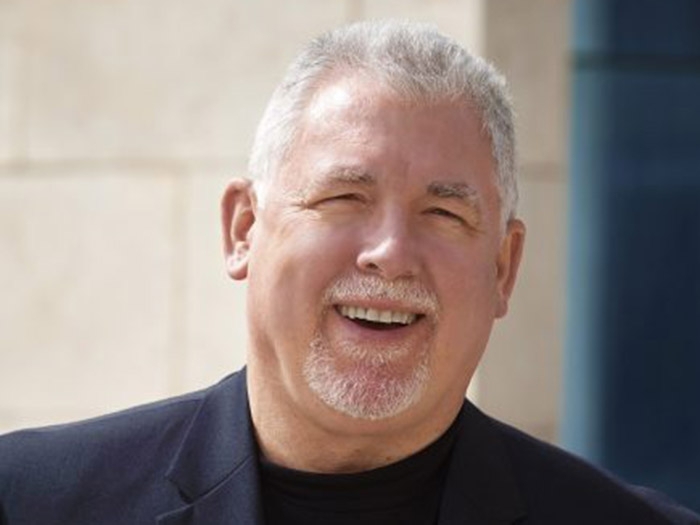 Michael Ollis, is expected to begin operations in 2019. The ferry is named in honor of the late U.S. Army Staff Sgt. Michael Ollis, a native of the New Dorp area of Staten Island, who died while saving a Polish soldier in Afghanistan. He was only 24 years old at the time of his passing. 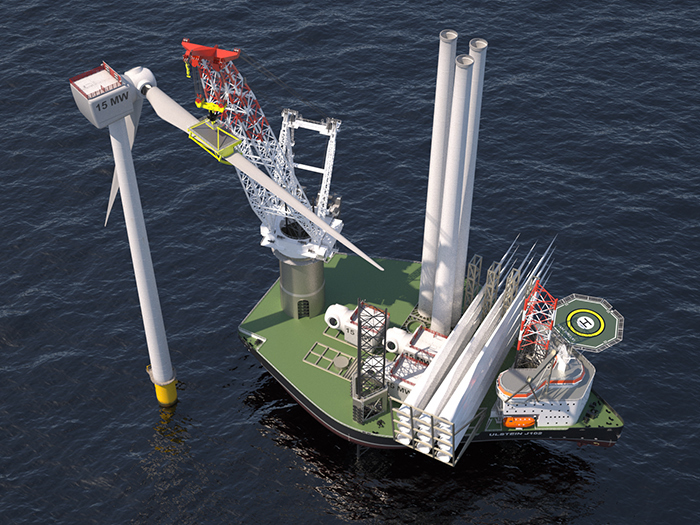 Vessels two and three in the Ollis Class are to be delivered later in 2019 and 2020. The Staten Island Ferry system will also get a boost from the U.S. Department of Transportation’s Federal Transit Administration (FTA). Under its Passenger Ferry Grant Program a total of ten projects received a combined $59 million in funding. Of that, $6 million will go to the NYC DOT, which will use part of the funds to replace the deck scows (barges) for the Staten Island Ferry Dockbuilding Unit as well as upgrade the Staten Island Ferry Maintenance Facility Ramps and Racks. The San Francisco Bay Area Water Emergency Transportation Authority (WETA) was also a recipient of the FTA grants. Under the program, WETA will receive $4 million to expand berthing capacity at the Ferry Terminal from its current four berths to six, and the construction of three new ferry gates. According to WETA the expansion project is set to begin Summer 2017. 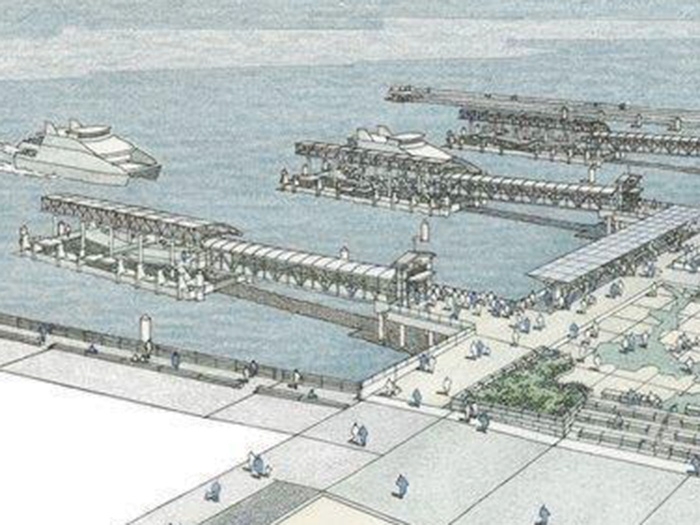 WETA says the project will improve landside conditions at the Ferry Terminal by providing new amenities, such as weather-protected canopies, the construction of a new plaza area south of the Ferry building, the extension of pedestrian promenade areas and other public access improvements. 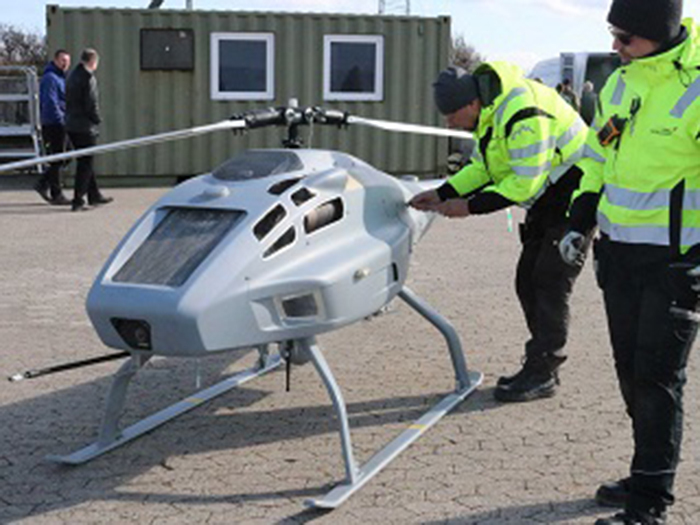 The expansion will also enable WETA to stage emergency water transit services in the event of a regional transportation disruption or disaster. “Improvements to the San Francisco Ferry Building ‘hub’ is a key element to expanding our services on the Bay, and validation of the important role ferry service will play in the future of the Bay Area’s transit infrastructure,” says Nina Rannells, Executive Director of WETA. The improvements come at a time of growth for WETA. 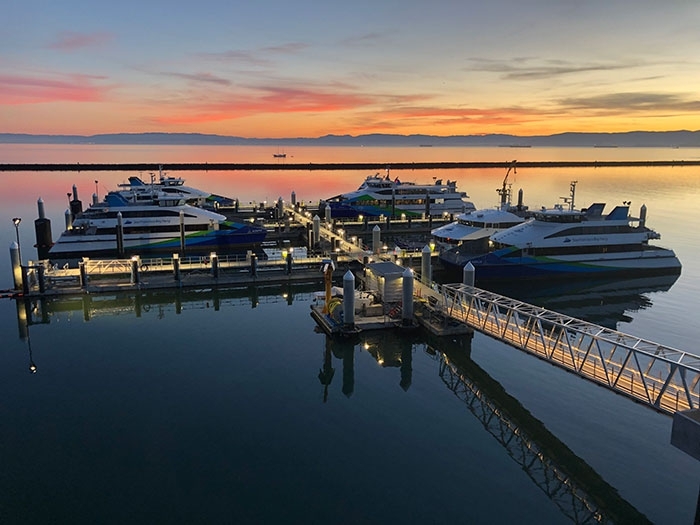 The ferry system in the Bay area has experienced a boost in ridership over the last few years and to help meet increasing passenger demands WETA has invested in both new ferries and is currently in the process of converting/refurbishing other members of the fleet. 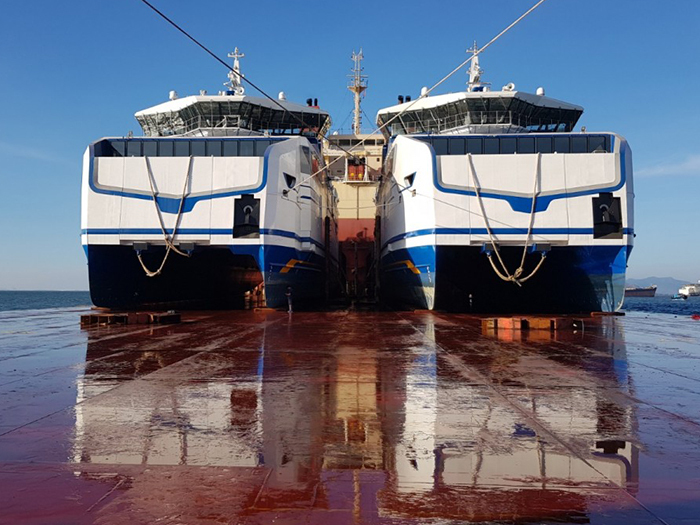 Last April, the operator awarded Kvichak, a Vigor company, the contract to build two all-aluminum 400-passenger only ferries. The 135 ft x 38 ft catamarans, currently under construction—the hulls are being built by Kvichak and the superstructure is by Nichols Brothers Boat Builders, were designed by Australia’s Incat Crowther, and will be equipped with MTU 12V4000 M64+ EPA Tier III engines rated at 1,950 bhp at 1,830 rev/min. The engines, coupled to ZF7600 reduction gears, will enable the ferries to reach a top speed of 27 knots. 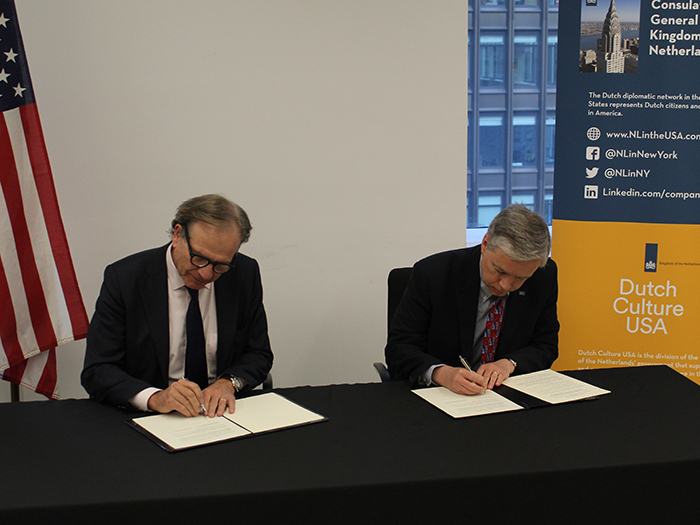 Delivery of the ferries is expected to occur November 2016 and April 2017. 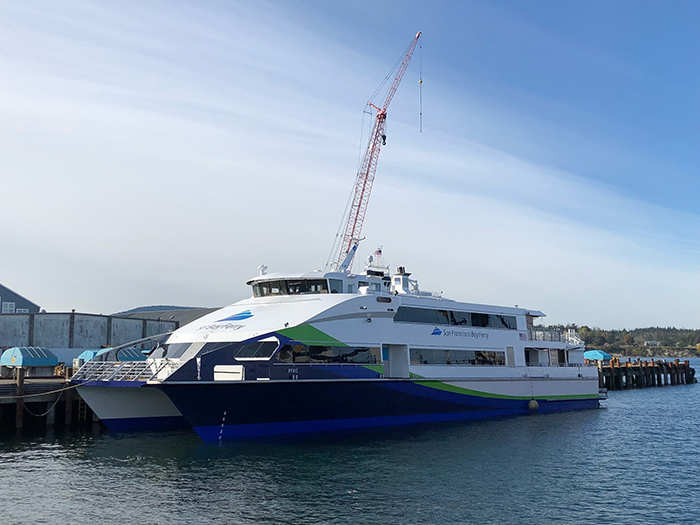 Beyond the newbuilds, WETA also has two of its existing ferries, the MV Intintoli and MV Gemini, undergoing upgrades at San Diego-based Marine Group Boat Works. 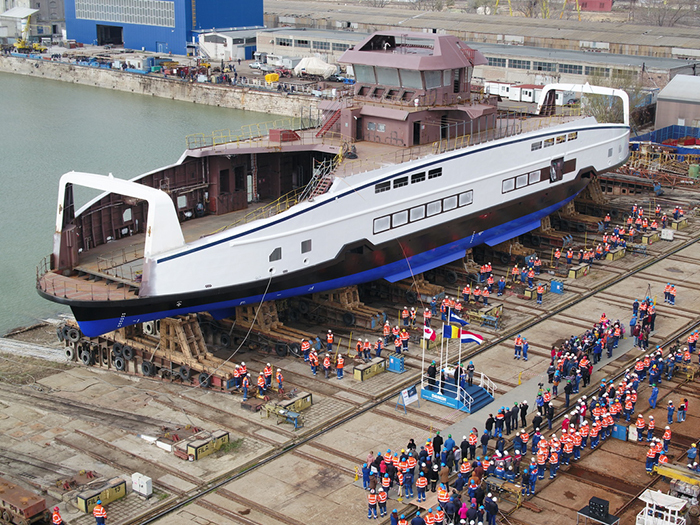 At press time, the MV Intintoli was nearly done undergoing a propulsion upgrade. 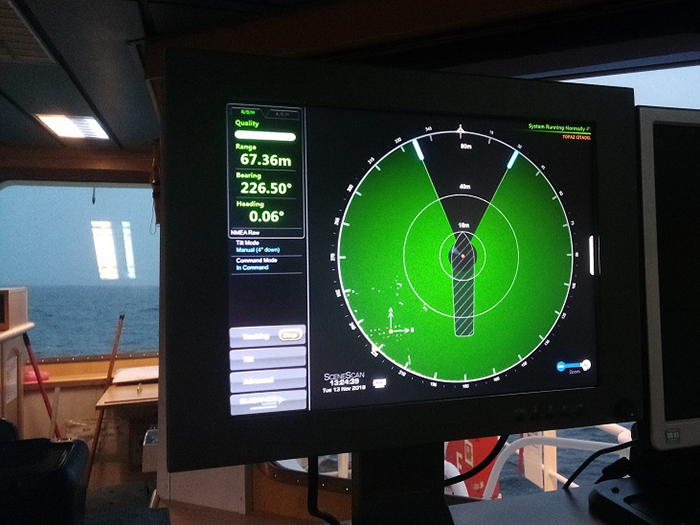 Meanwhile, the MV Gemini is currently undergoing a minor refit to help improve vessel reliability and passenger amenities, according to WETA’s Ernest Sanchez. 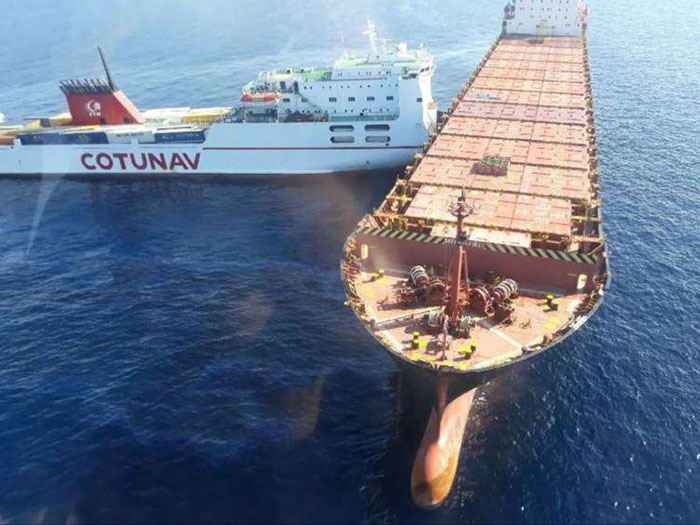 Among the improvement is the refurbishment of shafts, propellers and rudders, and the replacement of bearings; plus the overhaul of the Selective Catalyst Reduction System as well as the main engines, HVAC, electrical, plumbing, emission and fire and lifesaving safety systems. 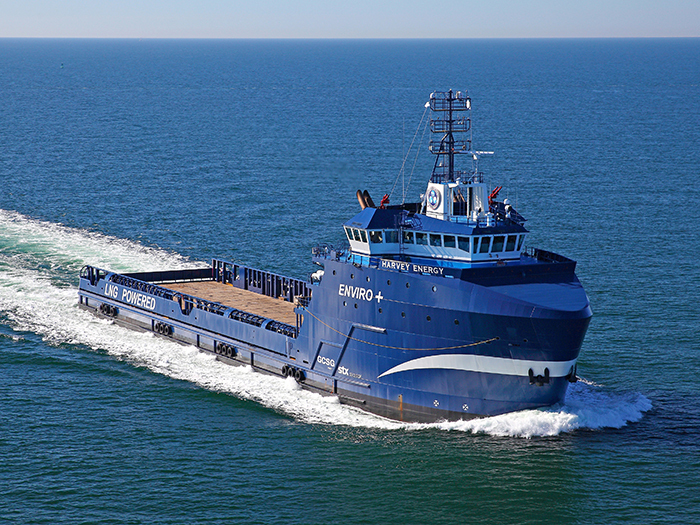 The Gemini’s conversion from a Subchapter T to a Subchapter K ferry—means an increase in passenger capacity from 149 to 225 and an upgrade of the interior spaces. The MV Gemini project will be completed this summer. 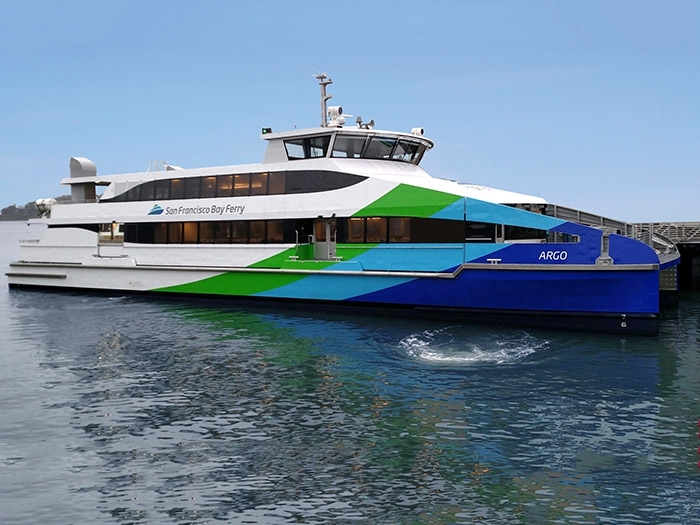 While New York City and San Francisco get ready to up the ferry ante, up in the Northwest, the largest ferry operator in the U.S., Washington State Ferries continues its newbuild program in the hopes of phasing out older members of its fleet and improving safety and efficiency. 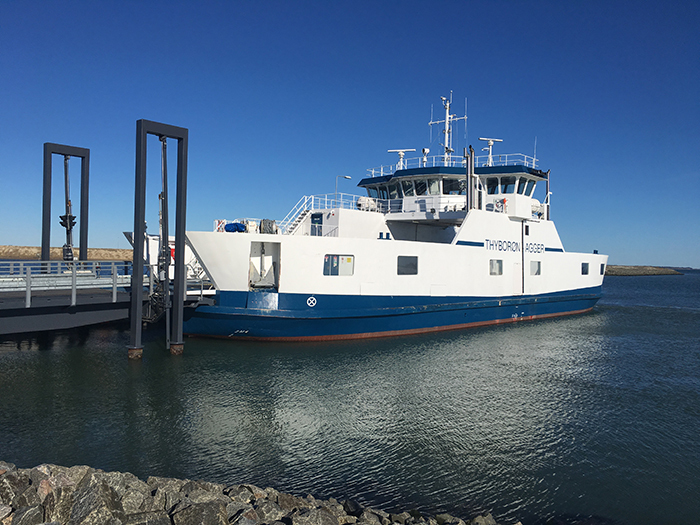 The ferry division of the Washington State Department of Transportation recently announced that construction has officially began on the state’s newest ferry, the Suquamish. The keel was laid last month at Vigor’s Harbor Island Shipyard in Seattle, where Governor Jay Inslee, State Senator Christine Rolfes, and Suquamish Tribal Chairman Leonard Forsman struck ceremonial welds on to the keel—Inslee welded his granddaughter’s initials, Rolfes welded an orca whale, and Forsman welded a circle with a dot, an ancient design element found in the early Suquamish winter village. The Suquamish is the fourth ferry in the Olympic Class, which was designed by Seattle-based Guido Perla & Associates, Inc., and is based on the Issaquah class design, WSF’s most versatile ferry. The Olympic class ferries each have capacity for 144 cars and 1,500 passengers. While construction has officially started on the Suquamish, the third ferry in the class, the Chimacum, is about 75 percent complete. In April, Chimacum’s superstructure, built by Nichols Brothers Boat Builders, was joined to its hull at Vigor. 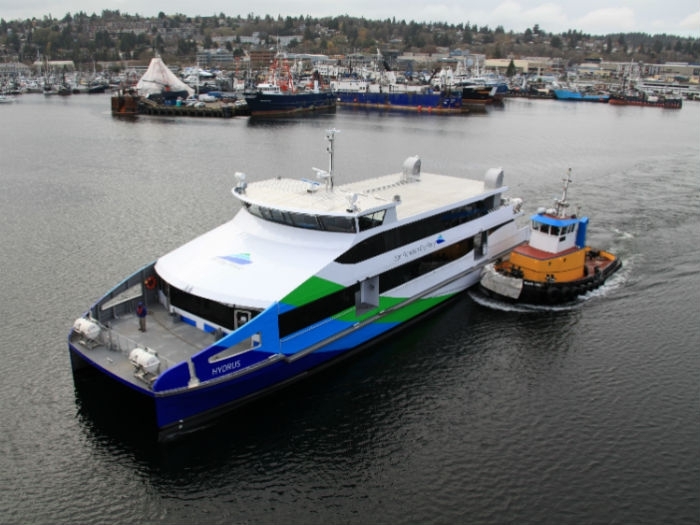 The Chimacum is expected to go into service on the Seattle/Bremerton route in 2017. WSF is expected to take delivery of the Suquamish in the Fall of 2018. The total cost to build four Olympic Class ferries is $515.5 million. 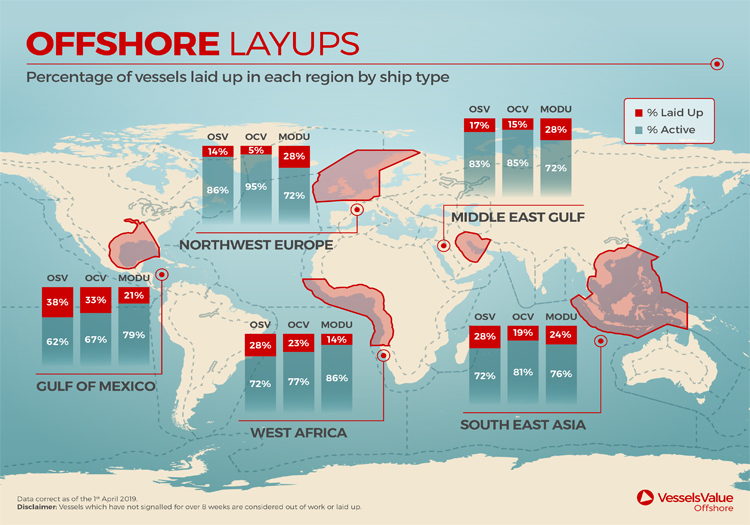 The hope for WSF is to continue “investing in long-term ferry build programs” in order to keep up with increasing ridership numbers—WSF carries more than 23 million riders and 13 million cars, annually— in addition to replacing aging members of the fleet, said Matt Von Ruden, Director of vessels for WSF. 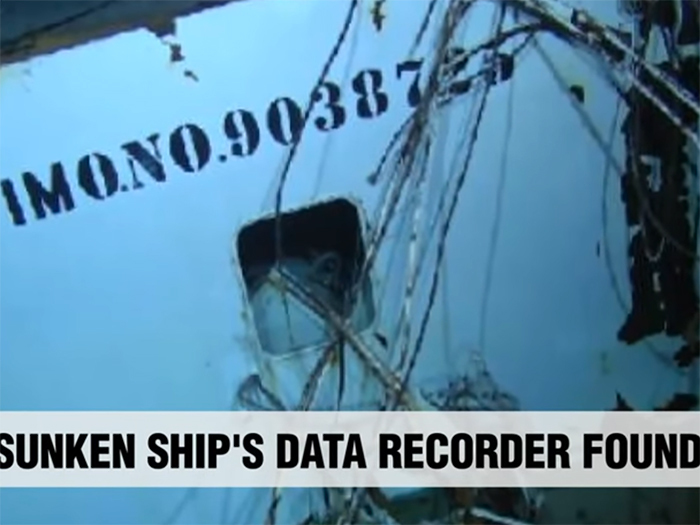 One of those aging vessels, the Hiyu was officially retired last month after nearly 50 years of service. Considered cute by many, it was even affectionately called “Baby Hiyu” by some, the ferry was tiny in size—only 162 ft long with a maximum capacity for 199 passengers and 34 vehicles—but lacked ADA accommodations and incurred high maintenance costs, rendering it obsolete. 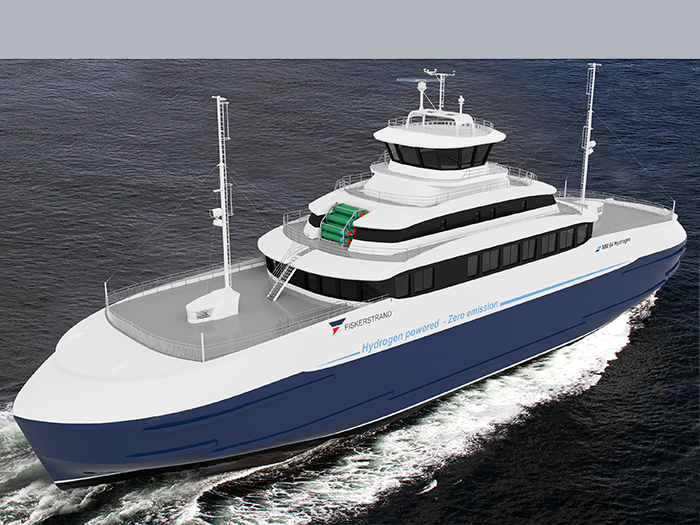 As we were going to press, the Woods Hole, Martha’s Vineyard and Nantucket Steamship Authority was prepping to take delivery of its newest ferry, the M/V Woods Hole. 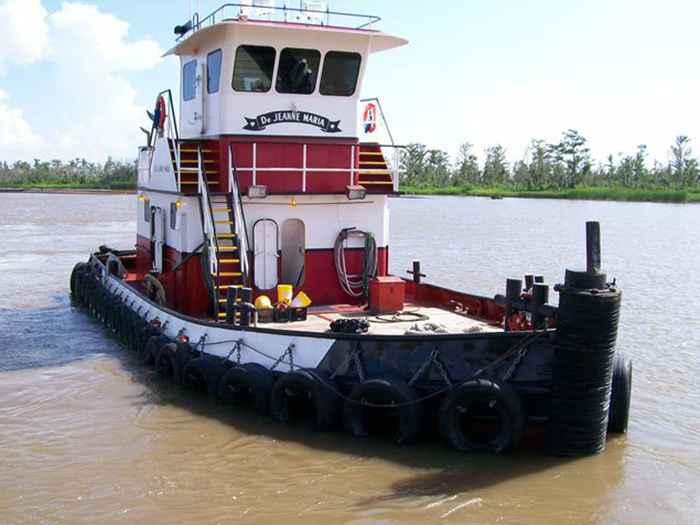 Built by Conrad Shipyard, the ferry, was christened on May 20th at Conrad Aluminum, Amelia, LA. Called a “beauty” and a “perfect example of the ships built by Conrad…quality in every detail,” by Project Manager Thomas Rachal, the ferry features state-of-the-art technology, WiFi stations, a snack area, and oversized reclining leather seats for passenger comfort. The M/V Woods Hole, designed by Seattle-based Elliott Bay Design Group (EBDG), is 235 ft x 64 ft with a maximum draft at 10 ft 6 inches. 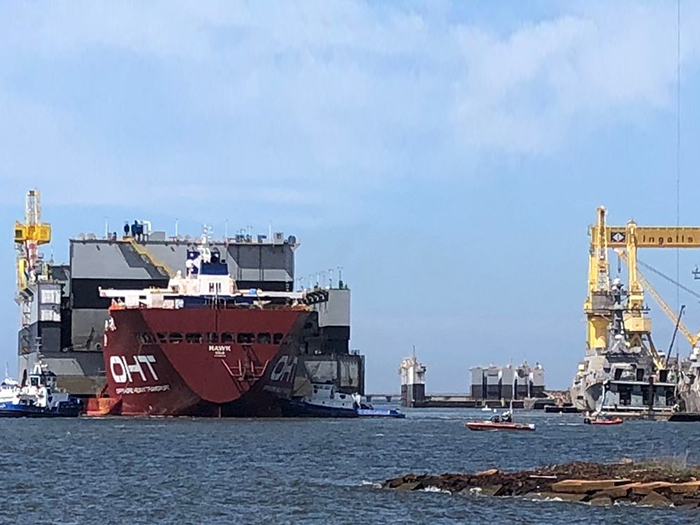 It has a passenger (plus crew) capacity of 384, car capacity of 55 and the freight-vehicle deck is designed to carry ten 100,000 lb tractor-trailers. It features a highly shaped bulbous bow to help minimize wave and improve fuel efficiency. 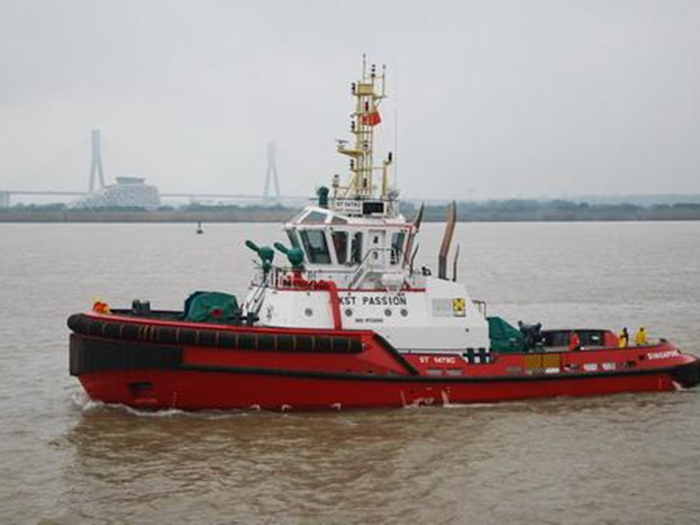 Further improving efficiency are Becker high-lift rudders, which, when working in combination with the controllable pitch propeller system and vectorable bow thruster provide the ferry with high maneuverability in a small area. 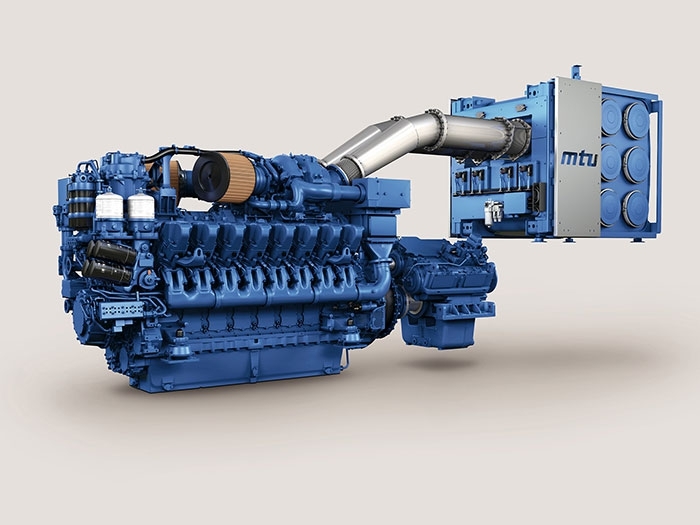 Powering the M/V Woods Hole are a pair of MTU 16V4000 EPA Tier 3 engines providing 2,680 hp connected to Hundested controllable pitch propellers, generating service speeds of 12 to 14 knots and sprint speeds of 16 knots. The ferry is expected to go into service sometime this month providing service between Woods Hole and Martha’s Vineyard. 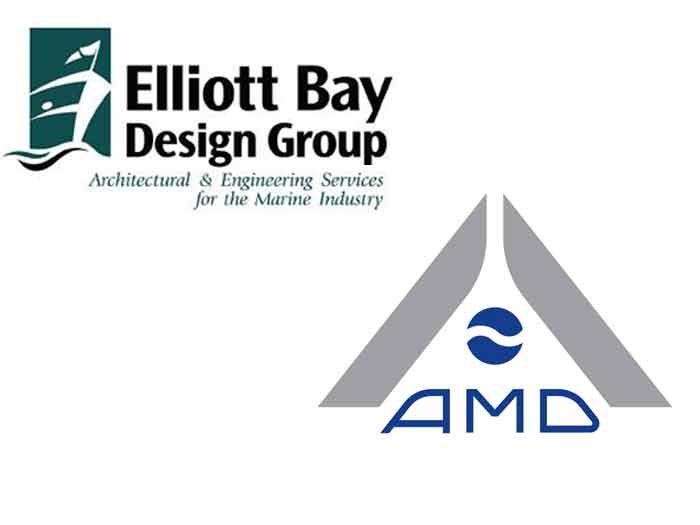 Meanwhile, another EBDG-designed ferry series, the new Alaska Class ferries being built for the Alaska Marine Highway System have officially been named. 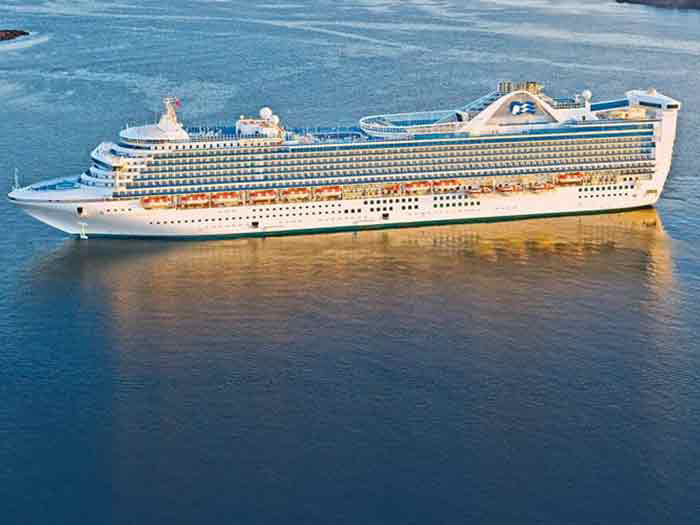 Following a call to students from Alaska’s Governor Bill Walker to submit essays on what the ferries names should be, two students, seventh grader Malea Voran and 10th grader Taylor Thompson, won the naming rights. The two new ferries will be named Tazlina, which Voran explained in her essay was an Ahtna Athabaskan name that means “swift river”, and the Hubbard, after the Hubbard Glacier, which Thompson says “surpasses all others (glaciers) in its beauty and magnificence. A ferry named after it would surely do the same.” The Hubbard Glacier has actually thickened over the years as opposed to melting like its other glacier counterparts, making it an anomaly to the science community. The 280 ft ferries are being built in modules by Vigor’s Ketchikan Alaska Shipyard. 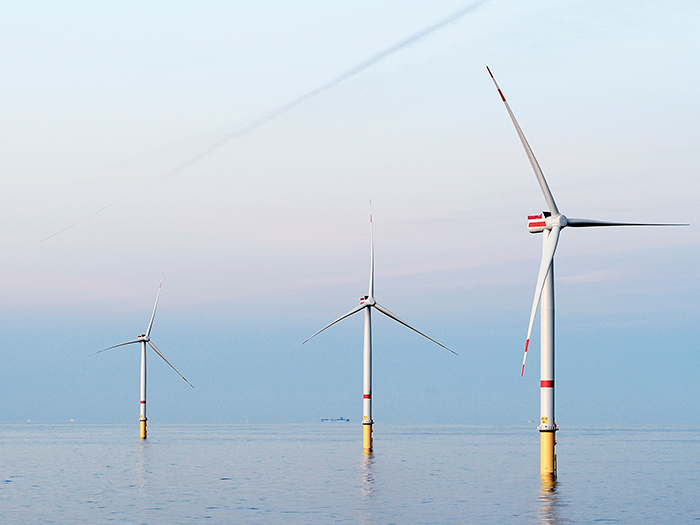 Once the modules are complete—with pipes, electric cable raceways and other systems installed—they will be set in place and attached to the ships. The two-day boat Alaska Class ferries will seat up to 300 passengers and carry 53 standard size vehicles. 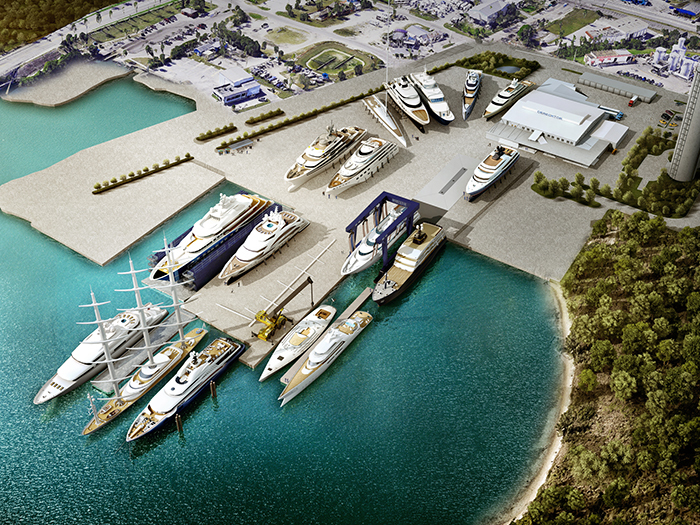 Delivery is expected from the yard in 2018.